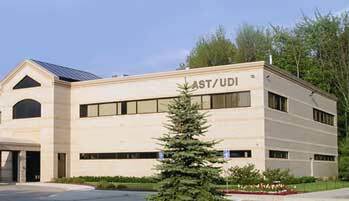 A.S.T., Inc. is a full service electronic engineering, manufacturing, service, and software development company. We provide products and services for inventory services, retailers, logistic carriers, rentals, and hospitality services. We have supplied custom applications and unrivaled support to the largest inventory company in the world for the last 33 years. Today, we continue to engineer and manufacture the highest quality and most durable handheld data collection terminals available, as well as providing software development, and product service to our integrated customers. AST's sister company; Phyle Inventory Control Specialists, a full service inventory company. Download the latest support files and updates for the DC2.5, DC5, and ICAL products. © 2007 A.S.T., Inc.; All Rights Reserved. A.S.T., Inc. launches its new product line, The Titan and Titan EPG. These handheld data collection terminals along with the Titan EPG Data Collector software are designed to provide the essential functionality needed to ensure your inventories are a complete success. Click here for further information on Titan's hardware and software product line.